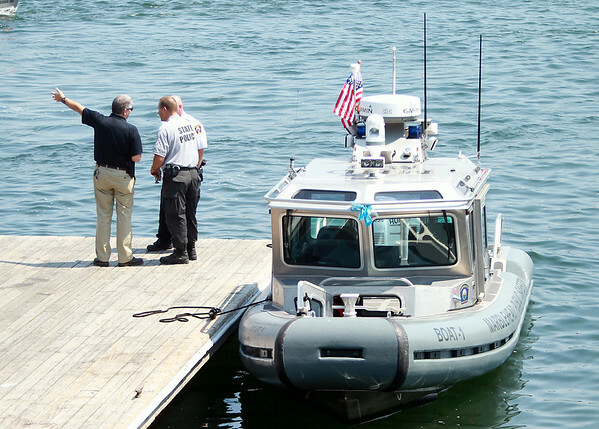 Marblehead Police Chief Robert Picariello meets with members of the Massachusetts State Police down on the docks near The Landing during an ongoing search for a missing diver off the coast of Marblehead on Tuesday afternoon. DAVID LE/Staff photo. 7/22/14.